How Far is RK’s Green Valley-6a? 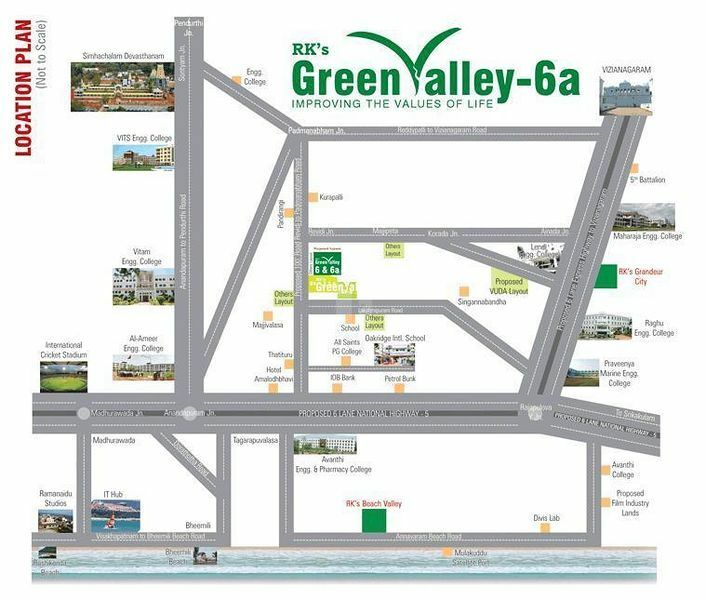 RK’s Green Valley-6a is just 30 mins.drive from visakha city. Situated exactly in residential ZOne. Very close to gvmc limits, Tagarapuvalasa(Educational & Commercial Hub), Oakridge International School, Bheemili Beach & Annavaram Beach, Film industry lands. Near to IT Hub, Echo Friendly Satellite Port (mulakuddu 2000 crores). Very close to Rajapulova Y Junction, Educational Hub (Medical,Marine Engineering Colleges & International Schools). Plenty of connecting roads. ,Tagarapuvalasa,Vizajanagaram,Pendurthi,Simhachalam,Anandapuram & Araku. Very close to gvmc limits. Very close to Oakridge International School. Very close to Film industry lands. Near to Echo Friendly Satellite Port (mulakuddu 2000 crores). Very close to Rajapulova Y Junction. Very close to Educational Hub (Medical, Marine Engineering Colleges & International Schools). Plenty of connecting roads, Tagarapuvalasa, Vizajanagaram, Pendurthi, Simhachalam, Anandapuram & Araku.